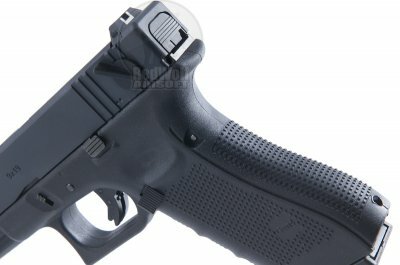 Latest WE gen4 18c GBB pistol with a the new grip. Semi auto and full auto. It features a more "tactical" grip pattern and adjustable backstrap for better gripping. Its rapid fully automatic mode, means you enemies have no where to hide. 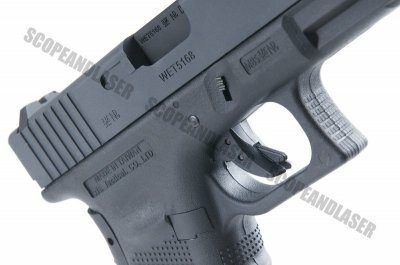 Half the price of the Marui 18C, this offering from WE comes with a metal slide. Nice quality ABS lower body. 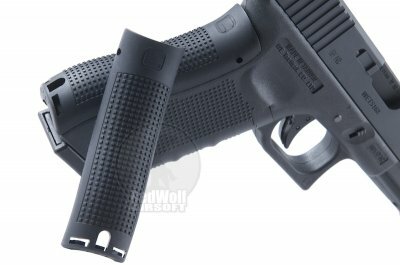 Thanks to this heavier slide, the WE offers a slightly more engaging blowback and cocking experience, which cannot be matched by the Marui one. 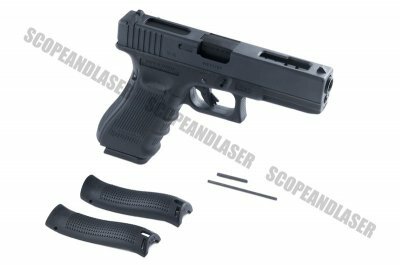 However, this affordable 18C doesn't match the accuracy and durability of the Tokyo Marui version - but hey, it's half price! And of course, as an 18C, this is a fully automatic selectable model. WE gives no disappointment on this, the full-auto function empties your magazine in seconds, so be reminded to check the shooting mode before you pull the trigger. As one of the very few pistols with full-auto shooting mode, this gun is nothing but a monster hidden in your pocket. The power of the gun is around 280 fps when powered by green gas, and around 220 fps on hfc134a. Great for skirmishes or casual shooters. Serious shooters who want refinement and accuracy must consider the Tokyo Marui 18C.